We had Mark visit us for our daughter's birthday party yesterday with Robbie and Beauty. All the kids really loved it and the donkeys were fantastic. 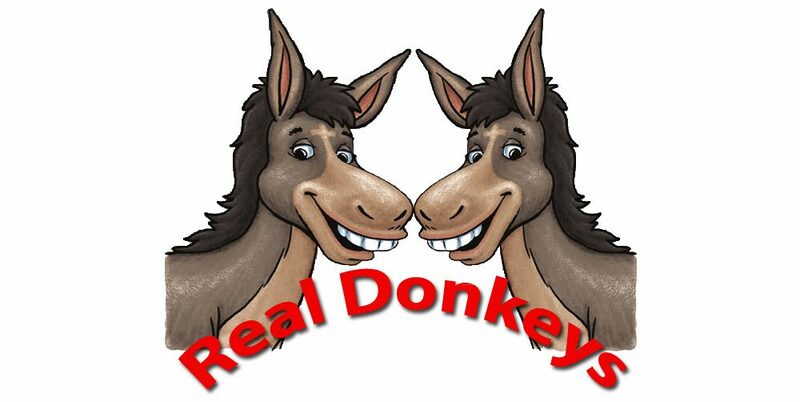 Can't recommend Real Donkeys enough! thank you do much for sending us Tommy and Trooper for our Christmas Eve Festival, they were brilliant, So beautifully presented. They were stars of the nativity taking Mary and Joseph to the stable, despite the remnants of Storm Barbara. Made 2 pages in the local paper"" Thank you Walter being part of the nativity and being so good with the children and the situation. We will definitely be having you all over again. 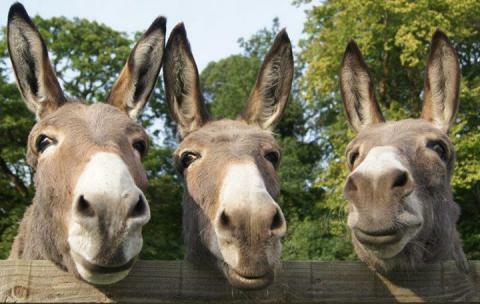 A fantastic opportunity for your children to enjoy a spectacular day with their friends and learn about donkeys, what they like and what they don't like. Mark and his team are amazing and the way they take the children through a magical journey with each of the donkeys is outstanding. Well done guys. Your enthusiasm is wonderful. Once again we have visited blackpool and let our 5 children have donkey rides using real donkeys. Lovely, well looked after donkeys, very friendly staff and the kids loved every minute!! Our daughter is disabled but they made sure she was safe happy and enjoyed it as much as the others did, which for me says alot about them.. Made alot of time for her so she could enjoy herself as much as every other child did. Cant thank them enough and i highly recommend! Thank you very much to mark and the team for a great day at Ashworth grange for our beach themed party. The residents had great fun with the two donkeys that came to the event. It is all they have talked about for the last week. Mark and the team were very friendly and helpful. Thank you so much. We had a Seaside themed day for our infant children on Monday 11th July and the highlight was a visit from the donkeys in the afternoon. The donkeys and their handler were so organised that it only took 1hour 30mins for each of our 90 infant children to have a donkey ride and a chance to feed and stroke the donkeys. The infant children loved it and the junior children (and some of the staff) were quite jealous! Even the rain did not manage to spoil our fun. Thank-you very much to the team. 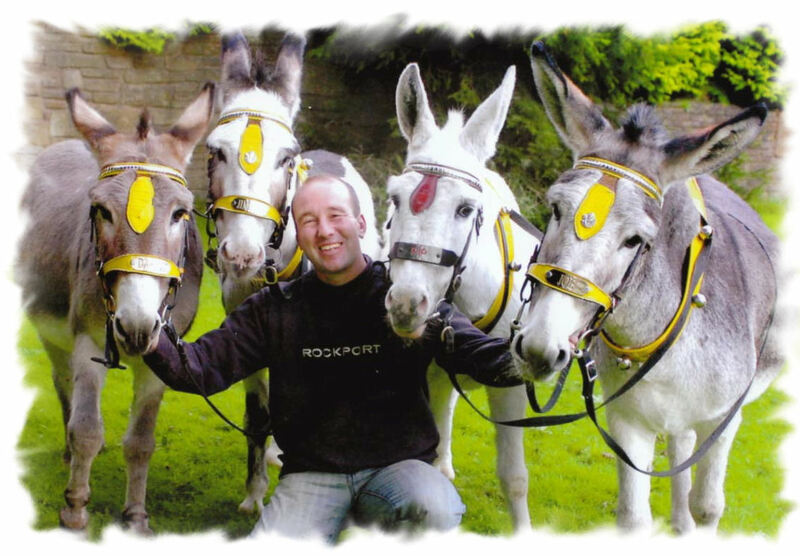 A huge huge thanks to Real Donkeys and especially Mark Ineson for helping us to raise money for the Donkey Sanctuary. I can't thank you enough for the amount of time, effort and not to mention money that you gave. The children loved John and the donkeys visiting and couldn't wait to feed them. Your donkeys even got into the local paper. We hope to see you next year.